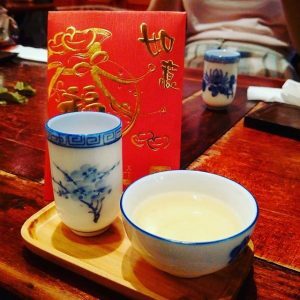 Tea lovers often ask me where to go for tea in my home town, Sydney, so here is Teashirts’ (by no means definitive) guide to Sydney venues that serve quality leaf. Please note this page cover venues for sitting down to enjoy tea, not tea retailers. 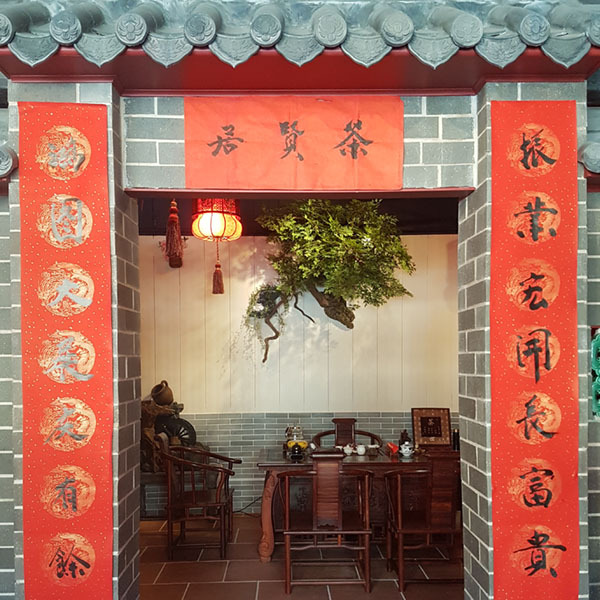 A snack stop that serves Chinese favourites both edible and drinkable, this venue is great for light meals such as dumplings, bao and fried share plates, which you can wash down with flavoured or unflavoured tea, including bubble tea. The tea menu is curated rather than expansive and the location is a change of pace from bustling Broadway. What do you get when a Chinese art gallery owner and calligrapher wants to share his culture with the world? This new teahouse is yet to open officially but is already making ripples. Fujian’s Sanhe brand features heavily on the menu. 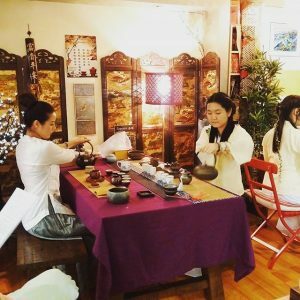 This two-level venue is a teahouse and retail space, a classroom and a private tearoom complete with everything you need to brew gongfu cha style. 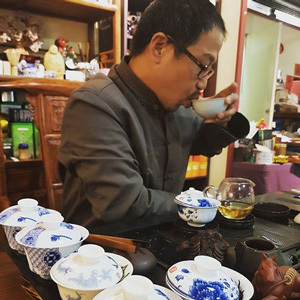 The Fujian sisters specialise in tea from their province, so expect quality yan cha (rock oolong) and original jin jun mei. 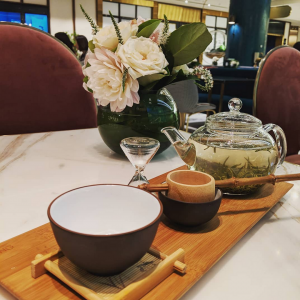 The casino’s latest roll of the dice is a good bet for tea-lovers: a tea-focused lounge tucked away on the ground floor of the Astral Tower that turns into a gin bar at night. Specialty tea will set you back double figures but with free refills you’ll get your tea’s worth. Call ahead for a hosted gongfu ceremony. 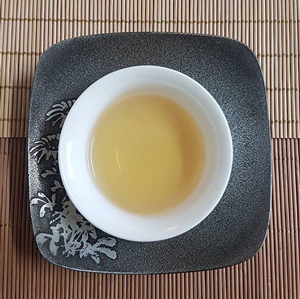 Hailing from Lincang, a city in Yunnan, China, Helena and Yao offer a selection of specialty tea – pu’er and dianhong – from their home province, as well as a variety of teaware, from Kamjove express brewers to handpainted gaiwans. While Helena’s father is the master tea processor, Yao’s practises ju ci, the art of pottery repair. The loose-leaf tea comes in large glass teapots on a candle stand, perfect for a long afternoon sipping tea. The concept of the teahouse is floral, as the name suggests, so the tea is blended with flowers and presented beautifully. Plenty of tisanes on the menu, too, if decaf is your preference, plus pair it with a range of desserts. 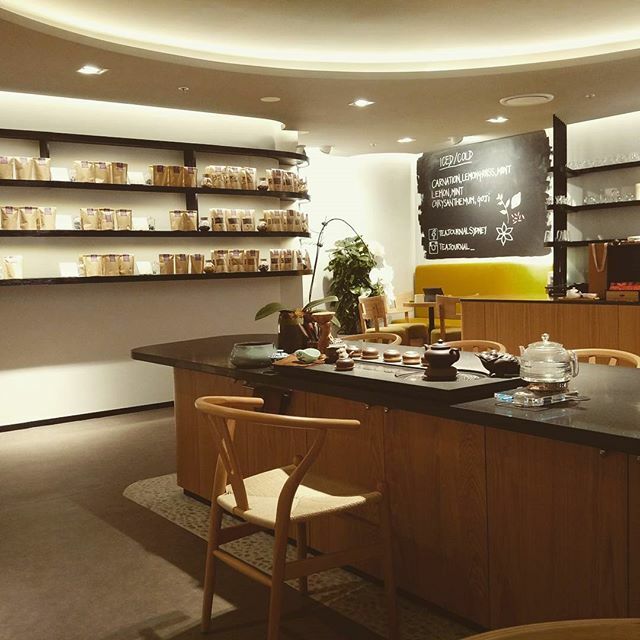 The long-time Chinese tea wholesaler has opened a tearoom to showcase their tea to the public. 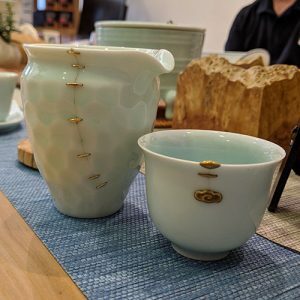 Sit and brew at your own gongfu cha table and pay by the tea. The house specialty is bamboo stored pu’er. You won’t regret splashing out for the decades-old sheng pu’er. Expect to be invited to the tea table whether you’re there to buy or browse. 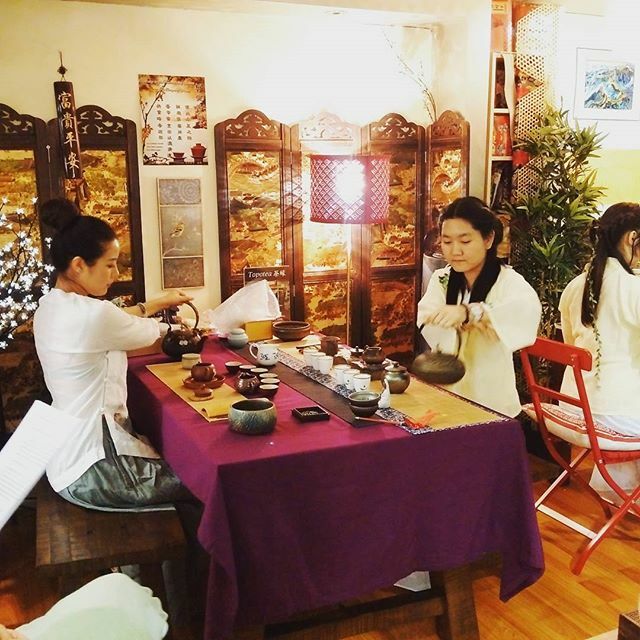 Book ahead for special tea journeys, from beginners tastings to pu’er events. 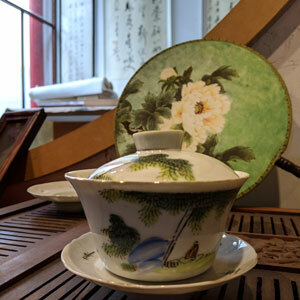 There’s a big range of Chinese teaware on offer, with the specialty tea of choice being pu’er. Japanese tea specialists Taka Pan and Helen Kwok also offer premium Chinese and Taiwanese teas. I’ve only been here a couple of times because it’s not often open when I’m in the neighbourhood; ring ahead to confirm. Known for their specialty oolongs, from fruity and floral dancongs to the rock oolongs of the Wuyi Mountains, Tea Angle have opened a retail and workshop studio to share their passion for pure Chinese tea. Come in, take a seat and have a taste. 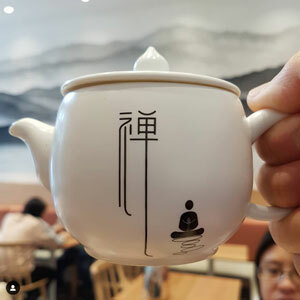 Tea Journal boasts a well-curated menu of Chinese tea, some from the proprietor’s family plantation, as well as some inspired Asian tea blends (lavender pu’er anyone?). 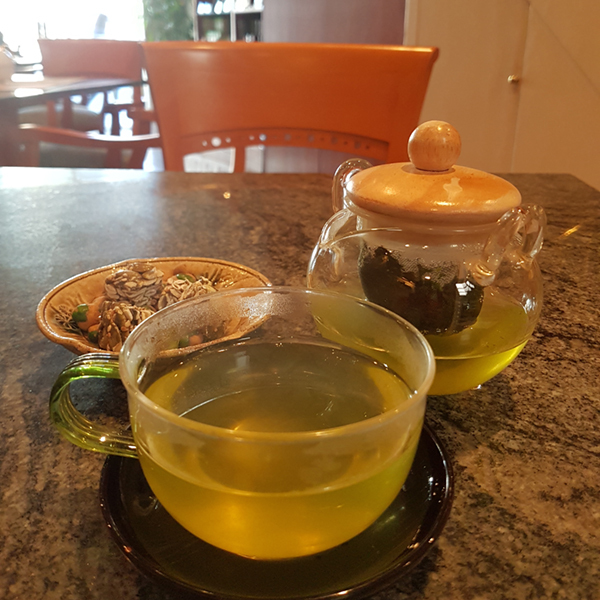 While just steps away from Chatswood transport interchange, the venue is peaceful and well-suited to taking time for tea. Brought to you by two-thirds of the team that run the Sydney Tea Festival, and without a coffee machine in sight, The Rabbit Hole is a tea-lovers haven. 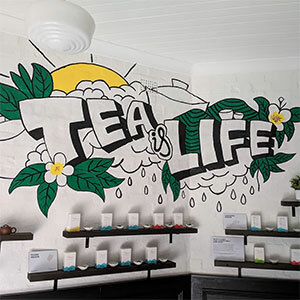 The duo have been serving their delicious organic blends for years through cafes and now open their own doors to welcome tea connoisseurs with their full range in a funky fitout. Take a seat for a formal tea tasting or relax with an all-you-can-drink-for-$15 session. Topo has a mix of their own plantation teas alongside popular Chinese and Taiwanese teas as well as a couple of rarer teas and an outstanding range of gong fu cha teaware. There are very few tea blenders that match the flair of T totaler. The duo are fun and experimental, using mainly organic ingredients, and will also teach you how they do it in their blending workshops. Its speciality is herbal tea but you’ll also find camellia sinensis and some awesome cake here. A well-appointed teahouse with a modern oriental theme, Zensation excels at hosting tea events, particularly at Chinese New Year. 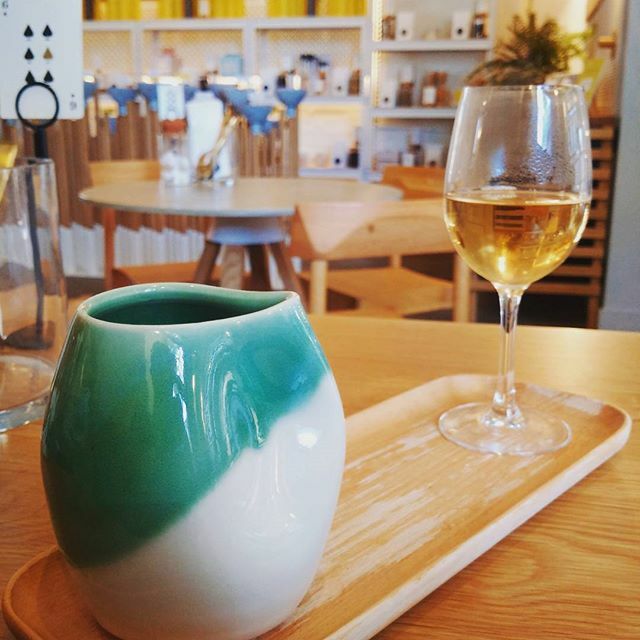 Pair your tea with food by choosing a degustation, or select your own brew from the curated menu. Leaf and teaware also available for sale. The cafe cousin of the famous Uncle Tetsu Japanese cheesecake shop, Angel Garden is a dessert cafe serving Uncle Tetsu’s popular cakes and tarts alongside a strong Yame-matcha cappuccino and pots of various tea. Fresh, wholesome and—above all—delicious food is the main game here, but it also has a wonderful selection of fine Asian teas. Gotta love a small specialty cafe that looks after its tea customers. Choose from a curated selection of Tea Craft teas served gongfu with multiple infusions if appropriate. 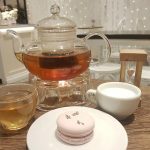 The main game is coffee and macarons but there’s a decent list of Japanese teas and western style teas and blends by French institution Mariage Frères. Matcha lattes come in a bowl. Choose from a pot of loose-leaf Mariage Freres tea, a matcha latte or hojicha thickshake to go with your matcha French toast—this is Japanese fusion for brunch at its best. 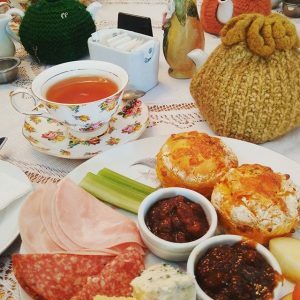 This little cafe deserves two thumbs up for tea service with a good, seasonal range of Tea Craft teas brought prepared to the table. Oolong and pu’er re-steeps offered without asking. As you tuck into your beautifully presented don (rice bowl) you can sip a matched tea by Redfern teahouse stalwarts Zensation. Okay, hear me out. What if we had a place where you could get Japanese-style hotdogs and matcha drinks and desserts? Here ’tis! An enchanting room that serves beautifully presented food with a serious offering of tea by Harney & Sons in fine china pots. Lunch and high tea both recommended (but not at the same time). 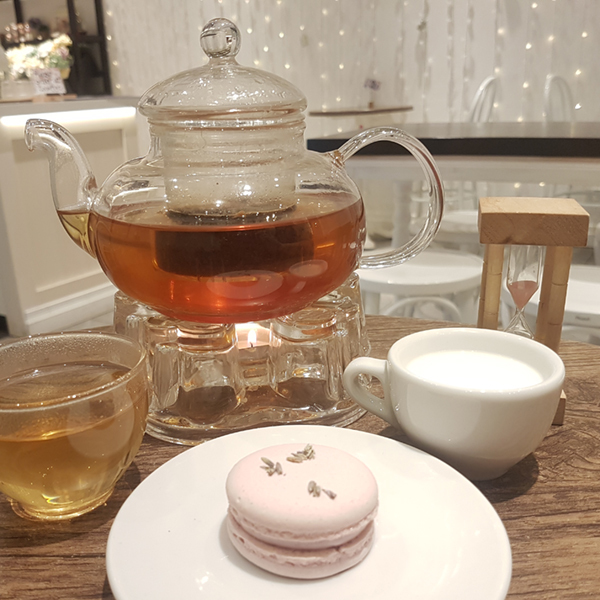 An oasis of calm in bustling Westfield, The Tea Salon offers a wide range of blended and flavoured teas accompanied by beautifully decorated cakes and other sweets. Oh there are savoury items too, but let’s face it, you’re here for a high tea treat. A permanent home for contemporary Chinese art, the White Rabbit Gallery also houses a small eatery on its ground floor that serves a range of Chinese tea alongside dumplings and scones. 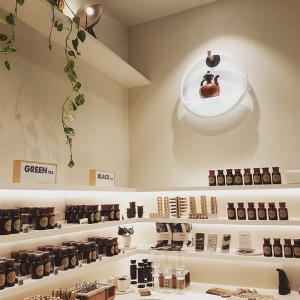 Where to buy leaf tea in Sydney in addition to the teahouses named above.